HomeChurch BlogAnnouncementsIt’s Shoe Box Time! 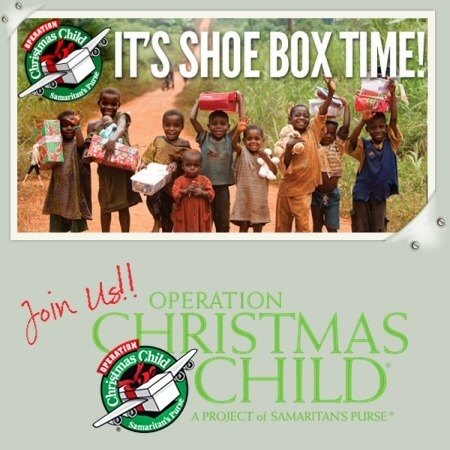 Now is the time to shop for those bargains to fill your shoe boxes for Operation Christmas Child. Shoe boxes are available in the foyer and are due by Sunday, November 22nd. Please remember to give $7.00 per box to cover international shipping.